To make these lovely Orchid Cupcakes you will need our Mini Fondant Cymbidium Orchids Assortment of 18 and our Vintage White Cupcake Wrappers. 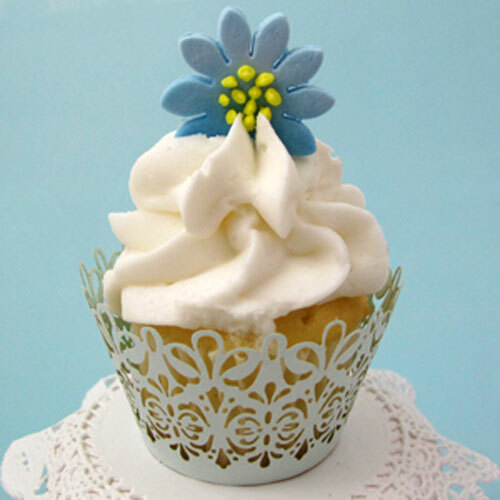 To make these Blue Flower Cupcakes you will need our Gerbera Daisy Fondant Assortment of 30 and our Mini Lavish Ocean Cupcake Wrappers. 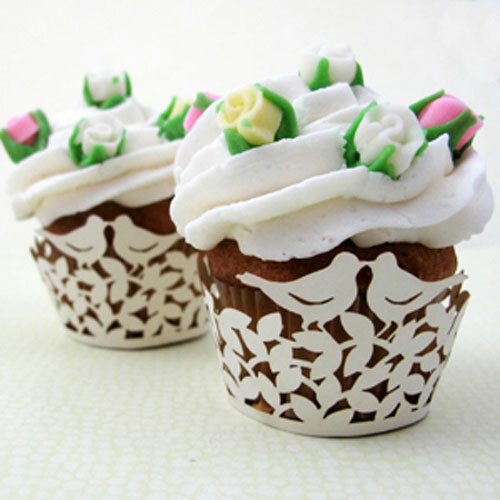 To make these charming Rose Bud Cupcakes you will need our Icing Rose Buds Assorted Set of 50 and our Mini Ivory Perfect Pair Cupcake Wrappers. 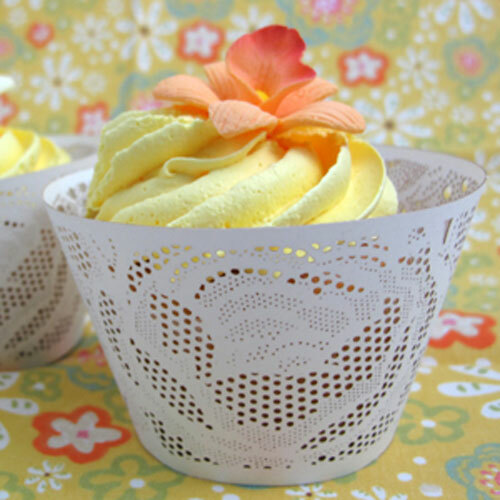 To make these colorful Pansy Cupcakes you will need our Icing Flower Pansies Set of 9 (different than those pictured) and our Gingham/Pansies Cupcake Liners. 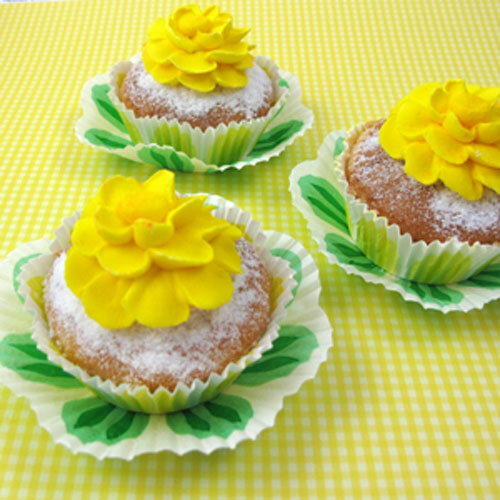 To make these Spring Blossom Cupcakes you will ned our Royal Icing Zinnias Yellow and our Fluted Color Muffin Cups. 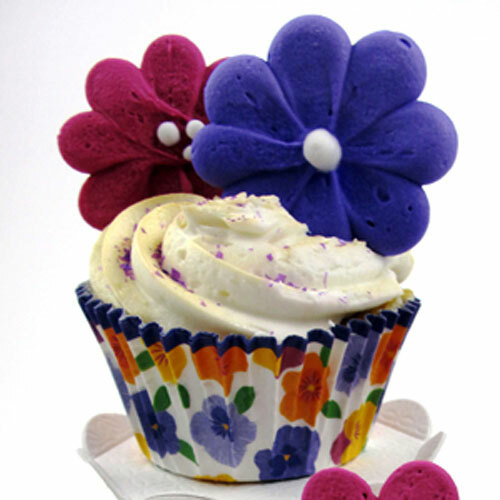 If you are feeling creative and want to make your own flower cupcakes check out our links below! 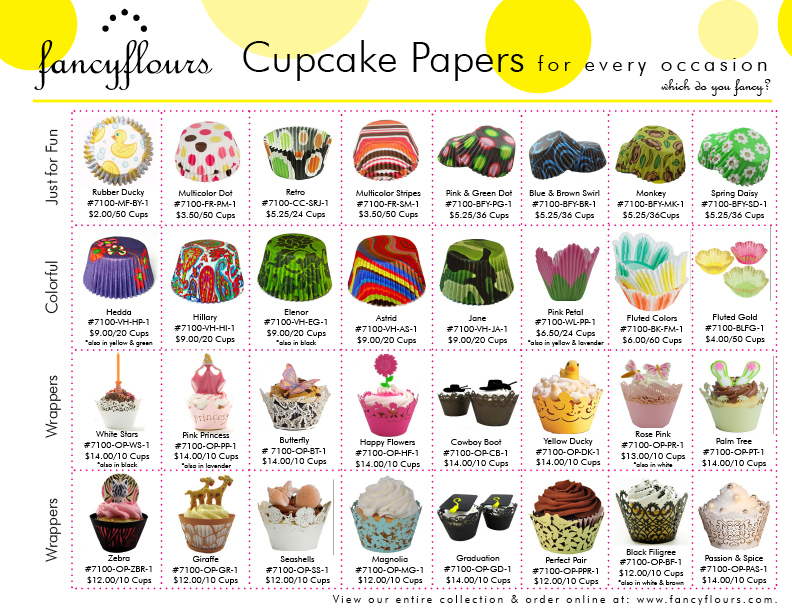 Did you know that Fancy Flours has over 200 muffin cup styles?! No matter the color, shape, size or theme, we’ve got you covered! 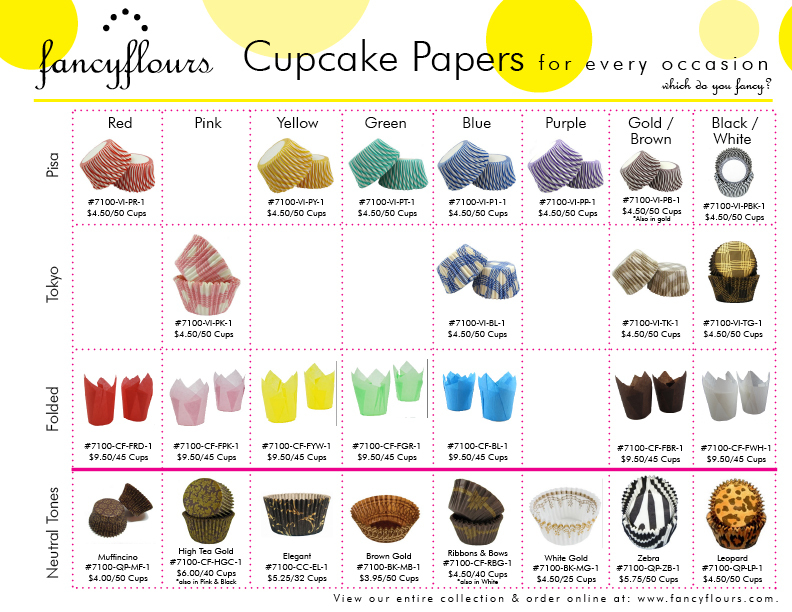 Check out our new Muffin Cup Cheat Sheet that allows you to view our most popular muffin cups by color and style. Many mini and jumbo sizes are also available in several of the designs. View the document as a .pdf file and print from home to have on hand for your next celebration. To view our complete collection of muffin cups, please click HERE. Paisley designs in fresh hues for spring! These fabulous paisley print muffin cups with coordinating cookies will catch anyone’s eye! Their fresh and vidid colors are beautiful as well as appetizing! Our new graduated leaf cut-out set was used to create the paisley cookie shapes. 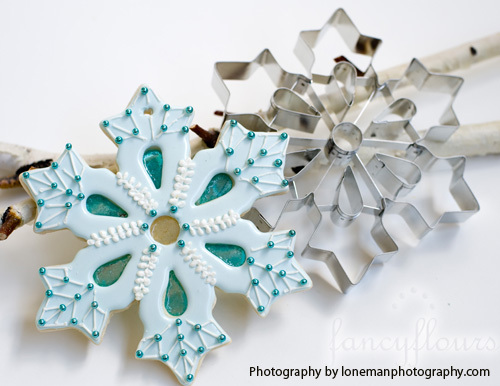 Bright hues of royal icing was used to create the line and dot detail on the cookies. New Hillary Muffin Cups (paisley design) are a great way to dress up an ordinary batch of cupcakes as is using culinary stencils, like the Mehndi one used here on the the lower photo of the cookie. If that is not enough pizazz for one dessert, no worries, the pink and blue stands are made of edible candy! How’s that for a treat?! 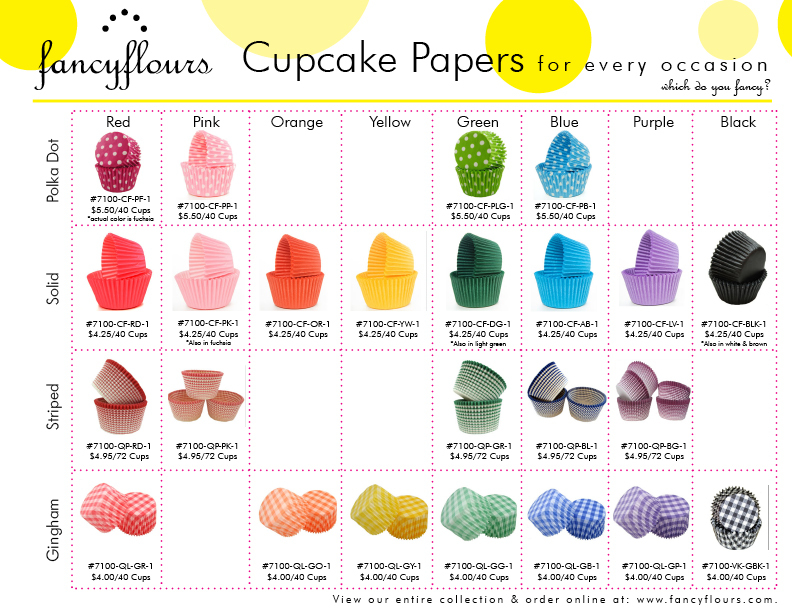 Coming soon to fancyflours.com are these incredible candy dishes ranging in colors – to fit your theme! Check back soon for availability! All items available at fancyflours.com. Happy Spring Baking Fancy Friends! Unique Bird Cupcakes take flight! With Mother’s Day right around the corner, flowers blooming and birds singing, these cupcakes fit right in! New at fancyflours.com are fabulous Barley Candy Birds. These dainty bird candies are handmade from vintage molds and offer incredibly intricate detail. 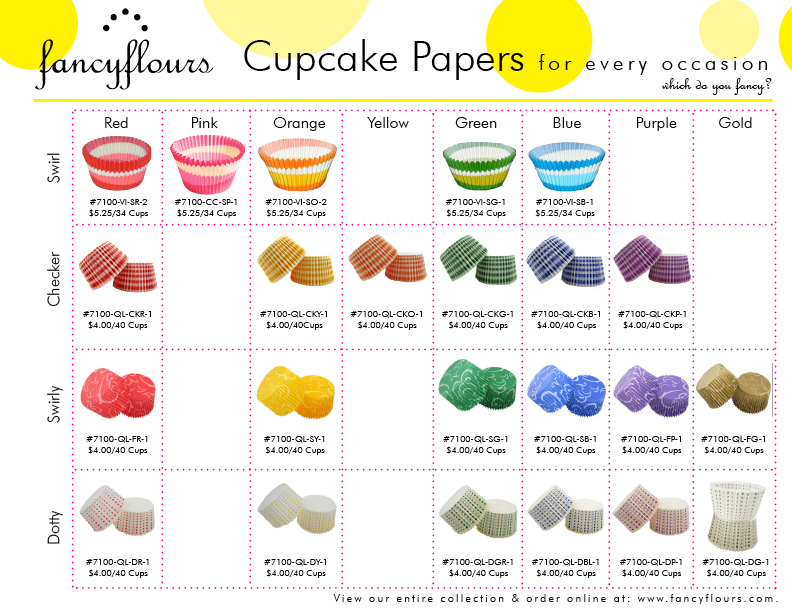 Several other shapes are also available and make perfect toppers for a batch of heavenly cupcakes. Enjoy and happy baking to all our fancy friends!